Destination Moon is a joint exhibition by Smithsonian and Museum of Flight. 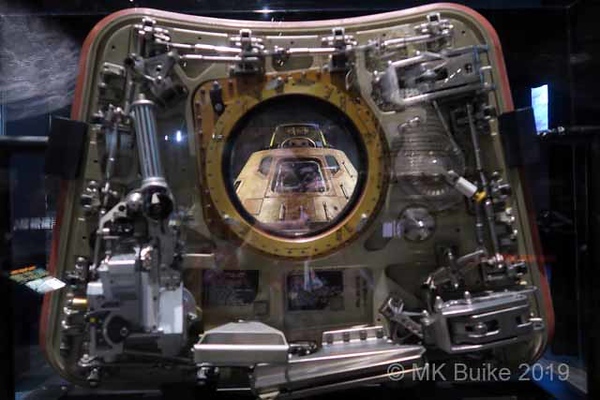 It includes many Apollo 11 artifacts from the Smithsonian as well as Museum of Flight Apollo artifacts and some loaned by the family of Neil Armstrong. 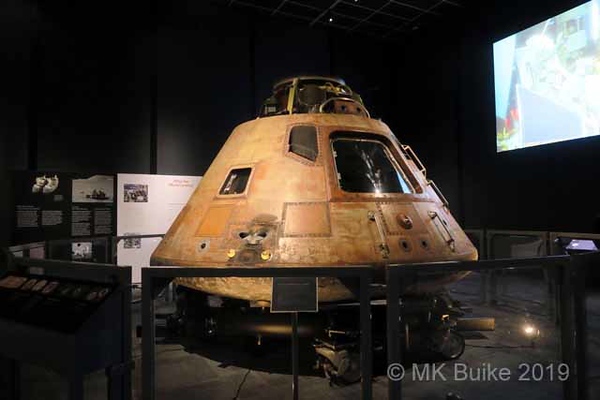 The highlight of the exhibition is the Columbia capsule which orbited the moon during the first Moon landing, 7/20/1969, with Michael Collins on board. Columbia, as see through its removed hatch. This is the only west coast installation and the Museum will have this exhibition for the 50th Anniversary of the Moon Landing on 7/20/19. There is a huge festival planned. 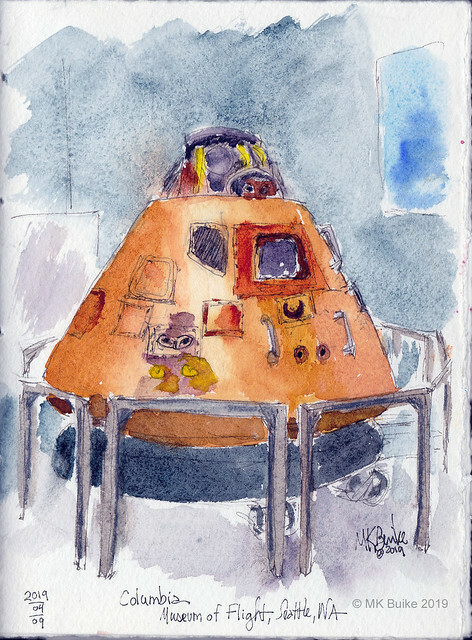 Destination Moon opens this weekend, April 13. I've seen it twice already. On Sunday, Himself and I went to the "members only" preview. This was my day to fully take it in. It was thrilling to see Columbia, re-entry scarred exterior and all. Yesterday, Tuesday April 9, I went to the "staff and volunteers" preview. This was my sketching day. I scheduled an opening time entry and sped straight to Columbia. I had several minutes alone in order to do my pencil sketch. 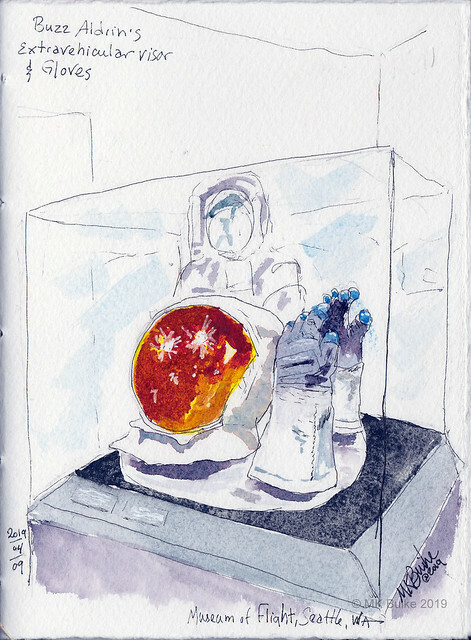 Then I turned to sketching Buzz Aldrin's extravehicular visor and gloves. Note: As of today, 4/10/19, part of the Museum is still effected by the downing of 27 power polls last Friday afternoon: "Partial Closure Notice Due to ongoing work on downed utility lines, the West Campus, including the Aviation Pavilion and Charles Simonyi Space Gallery, will remain closed until further notice. Our main campus is open, but we are unable to receive calls. Please visit our info page for more details "